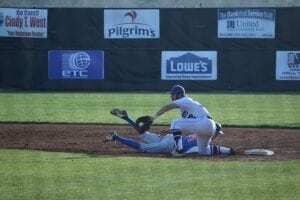 The Bobcats made a twenty minute trip up Hwy 515 North on Thursday to face the Rebels of Fannin County. In a one game series and the final game of the 2018 regular season, the Bobcats were looking to end on a high note. To say it has been a tough season for the Bobcats would only touch the tip of the mountain that they have faced this season. After missing McKinley Chadwick on the field for most of the season from Tommy John surgery, the Cats played their last 4 games without another valuable asset to the team. Austin Daman injured his right arm while on the mound for the Bobcats. Daman, a side arm right hander was throwing a breaking pitch and his elbow got out in front a little too soon. This forced him to force his forearm and hand to try and catch up. Daman will meet with renowned surgeons for MLB in Florida soon to discuss the plans for Tommy John surgery as well. Coach Thurman’s Bobcats have battled hard all season and gave it it their all. 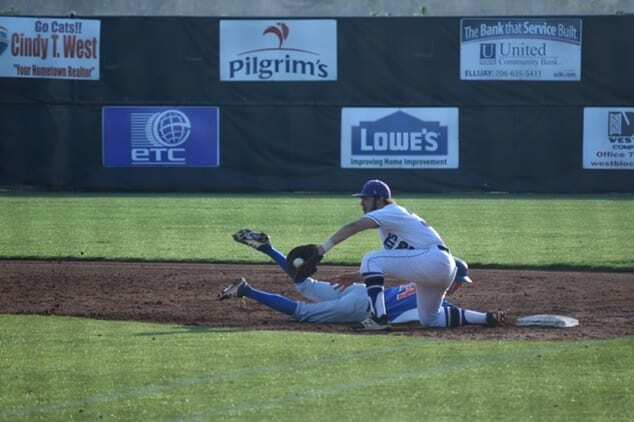 In several games, The Gilmer opponents have found a way in the late innings to muster one or two runs to defeat the Cats. The Cats sitting at 8-22 could’ve very easily had a winning season with a record of 15-7 or better. In baseball as well as other sports, it’s not over til’ it’s over and the Cats have played until the end in every ball game they have played. The Scoring for the Cats was fast and unfortunately short lived. The Cats put up 2 runs in top half of inning one and that would be their total for the game. The Cats first run of the game came as a result of a Rebel error allowing lead off batter Evan Frady to reach first base and advanced to second on a fielders choice by Bowyer. Designated hitter Austin Daman smashed a triple to plate Frady for the Cats followed by an RBI single from Senior McKinley Chadwick to plate Daman from third. The Cats stayed at two for the remainder of the game. Senior Brooks Rosser took the mound for the Bobcat defense and was touched up with six runs on four hits. Rosser gave up 5 walks and had 8 strikeouts on the day. Bradley Thomas, also a senior, came in as relief and allowed 1 run on 2 hits, no walks and 1 strikeout. At the Plate, Tyler Woody, Evan Frady, Austin Daman and McKinley Chadwick had one hit each in the Bobcat loss. Daman and Chadwick were both credited with an RBI in the game. The Rebels put 7 runs in the board to take a 7-2 victory over the Cats. The Bobcats say goodbye to what turned out to be a disappointing 2018 season and start preparing for 2019. The Cats have 6 great athletes graduating this year but have a fine class of Junior varsity and upcoming freshman to pull from. Best of luck for a turnaround in 2019. 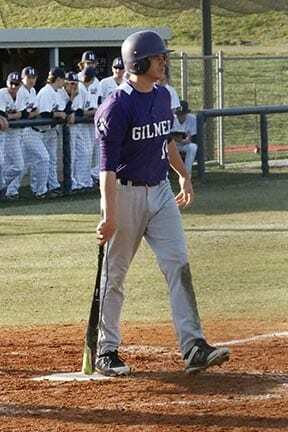 Gilmer traveled to Catoosa Co. on Friday to face the Generals of Heritage in final game of a three game series. Looking to avoid the series sweep by the Generals, undefeated in 7-AAAA region, turned out to be a tough goal to reach. In the seven inning contest, the Cats would be dominated by yet another Heritage hurler. Th Cats offense managed to scatter four hits in the game yet also had 10 strikeouts mixed in on the day. The Generals pitchers didn’t allow any Cat to reach by walk or error on the day confirming that they are the top team in region 7. Reaching the base pads for the Cats and providing all the offense were McKinley Chadwick-1 for 3 with a single in the second, Brooks Rosser-1 for 3 with a single in the seventh, Evan Frady-1 for 2 with a single in the fifth and Eric Turner-1 for 2 with a double in the sixth. The Generals put 3 runs on the board in the third innin and added on e run in bith the fourth and fifth innings giving the the 5-0 victory and the series sweep over the Bobcats. Box Score on the day for the Cats- no runs on 4 hits, 6 walks and 4 errors. For the winning Generals- 5 runs on 4 hits 0 walks and no errors. Sitting at 8-20 for the season with one final game to play, the Cats will welcome in Trion High School to Bobcat Field for Senior Night. 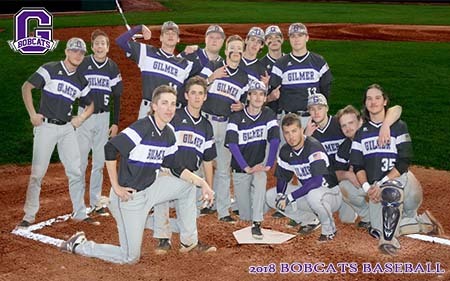 The Bobcats will celebrate the High School Careers of Student Athletes that have dedicated 4 years to Gilmer Baseball Program. Game time is set for 5:30 pm with Senior program before the game. Arrive early as it should be standing room only. 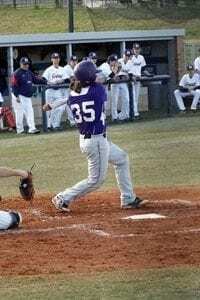 The Bobcats took a trip to Ringgold, Ga. on Tuesday to face the region leading Generals of Heritage High School. 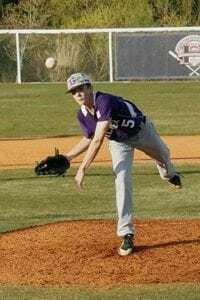 The Cats were hoping to pick up where they left off last week after taking two out of three from the Southeast Whitfield Raiders, it was not meant to be. 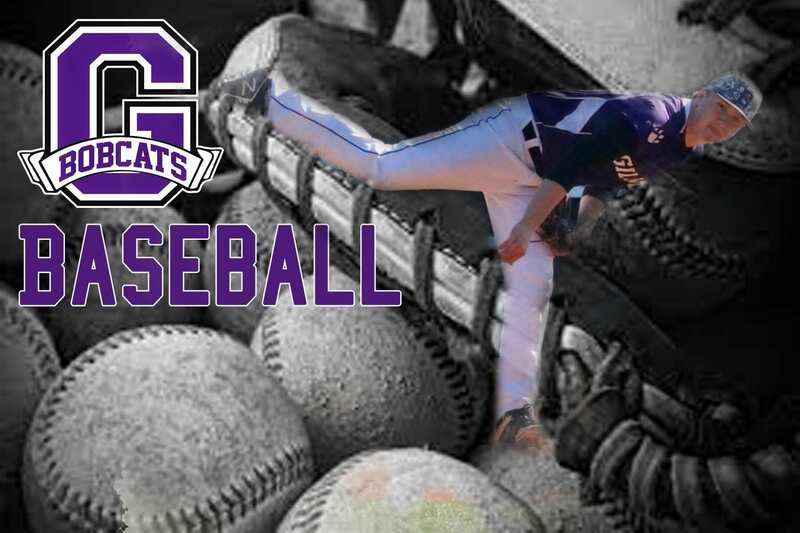 It did not matter what the Cats tried to do or how hard they worked this season, there wasn’t any way they could prepare for the young man the Generals put on the mound. Cole Wilcox, a senior and a University of Georgia signee, brought everything he had as Major League scouts filled the reserved seating at Heritage field. Throwing 97 miles per hour in warm-ups had the Cats looking on in awe. Wilcox threw a consistent fastball of 93-95 mph and complimented it with an 85 mph breaking ball that had the Bobcats hitters spellbound. Hunter Bowyer and Sam Nicholson worked base hits off the flamethrower for the Generals but the Bobcats couldn’t muster any runs. Ninety-plus mph fastballs are really rare at the high school level and there really isn’t a way to prepare for them. The Generals put up ten runs off of the three Bobcats pitchers with the highlight being Sophomore Tyler “Rocket” Wright coming in with 2 outs in the fourth and getting the third out. Wright allowed one run in the fifth giving the Generals the GHSA mercy rule victory. Next up for the Bobcats will be Thursday as these same Generals come to Bobcat Field in game two of the three-game series starting at 5:55 pm. Next Article » 2018 Earth Day Celebration and Clean Up Day! Next Article » Boys & Girls Club 4/13 Newsletter & More!